This weekend was Horned Rat VI in Khandallah and the event attracted 30 gamers to the party. Unfortunately two got better offers and so on Saturday morning 28 intrepid souls braved Wellington's weather to battle it out. I took the Rats hoping to get the necessary points to wrestle the Skaven icon off Dave Appleby - he having stole it while my back was turned playing Daemons. I had played Sam at Runefang and won 15-5. I was pretty sure that he had digested all my nasty tricks and would be working hard to reverse the result. Neither of us suffered too much from the random deployment - I'm guessing because neither of us are morons or were extremely extremely unlucky - though I had my Ratapult by itself in the far corner. I was surprised Sam put his Drones in frontline especially as he knew I had Howling Warpgale and the Storm Banner. Off rolled the Doomwheel towards them and managed to take them almost out from a mix of shooting and combat before it was destroyed. The remaining wounds were picked off by Gutter Runners. His 5-BoN unit munched through Slaves building Epidemius' tally while the rest of the Skaven army focused on Epi's unit - eventually reducing it to five models before it charged a unit of Clanrats. These held and Epi's unit (and the Daemon himself) where flank charged by the Bell. On the other flank the GUO took 3 wounds from the tolling of the Bell before walking near a board edge from which Gutter Runners emerged to poison him off. The last combat of the game - four rounds worth - had my HPA randomly charge the rear of his Plaguebearer block and reduce them to 6 models before the end of T6. Sam picked up my three Slave units, a unit of Clanrats, the Doomwheel, WLC and Ratapult. The points difference was 770 points in my favour. Peter had Fortitude of 6 against my Fortitude of 5. However 4 of my FP were in the Bell unit while Peter's were spread across the army. The first few turns saw me take out his Reavers with combined charge from Doomwheel and Slaves. The Slaves followed up to right in front of Dragon Princes and then fought them from T2 to T5 before being destroyed. However by then there were only two left and those DPs were cleaned up with Warp Lightning. On my left I got lucky when a unit of 10 Silver Helms reduced themselves to 4 with two Dangerous Terrain tests. They charged home versus Slaves with two Engineers but were killed after killing one Skyre initiate. Peter's Chariot was beaten in combat by a unit of Clanrats then fled off the board. This allowed me to charge the other Reavers that got around to threaten my warmachines. In the centre the depleted White Lions charged Doomwheel and died over two turns while Frostheart fought slaves forever. 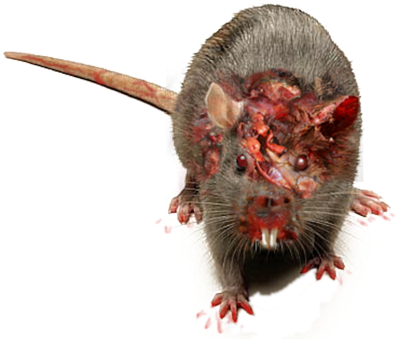 Eventually charged by Clanrats who broke it, it fled, escaped, rallied was re-charged and beat the Clanrats who escaped. To break Peter's fortitude I killed Eagle-bound BSB who had killed Doomwheel and then turned his Level 4 into a Rat. By the end - with bonus - I was up 1795 points. Joel beat me in B&G at the Masters when he killed my Seer with a Cannon shot so to say I wanted this was an understatement. His army was - IMO - the strongest at the event with wall to wall 1+ Armour Save. He had two units of 4 Demis, Steam Tank, 10 ICK and 5 other knights. He also had a unit of 40 Halberdiers where he put a Warrior Priest, BSB and Level 4. The key moment in the game happened in Turn 2. The Bell got off a Bound 5 Scorch. Joel picked up dice to dispel and I reminded him that a natural "1" or "2" would see it go through. He then picked up a second dice and rolled "snake eyes". Now they say sharks smell blood but so do wizened old Seers. The first Scorch was followed up by a second and 40 halberdiers were 7. This was followed by Power Scroll, five dice 13th and Joel's bunker plus characters were 10 twitchy Clanrats. To add insult to injury these rats garrisoned the building to win the scenario. The rest of the game was Gutter Runners cleaning up warmachines - 2 cannons and hellblaster for one unit of GRs - and my HPA and slaves killing one unit of Demis. I lost the Doomwheel to cannon shot while both the WLC and Ratapult "mis-functioned". I lost a unit of Clanrats and Slaves to Demis. In the end, with bonus, I was 2129 points ahead. So at the end of Day One I was on 53 points, three points clear of Locky Reid's Skaven and four points above Wil Hoverd's Ogres. However there had been a number of suspicious "accidents" and it was with some trepidation that I snuggled up in my nest on Saturday night. GUO is getting retired he's too slow. List is played to death.